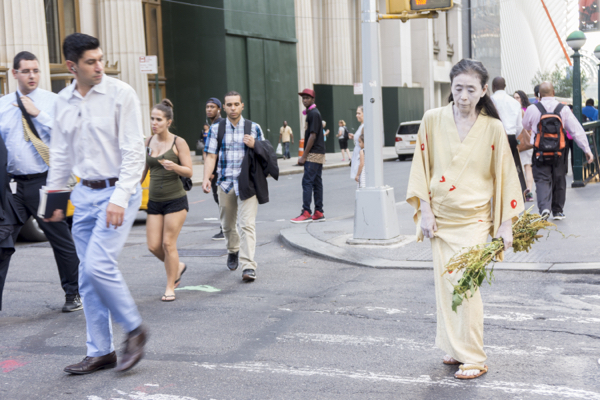 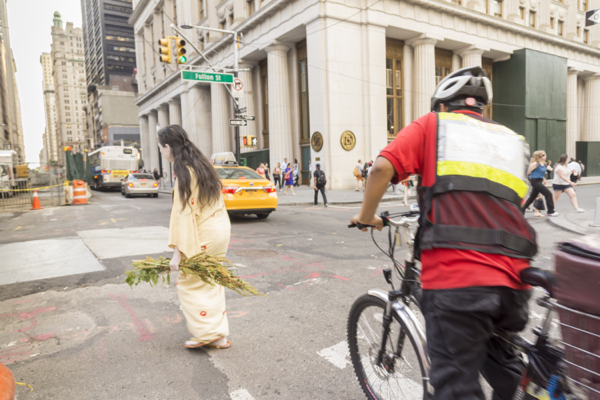 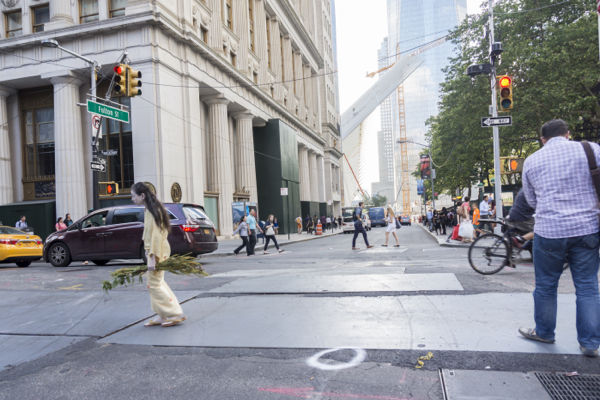 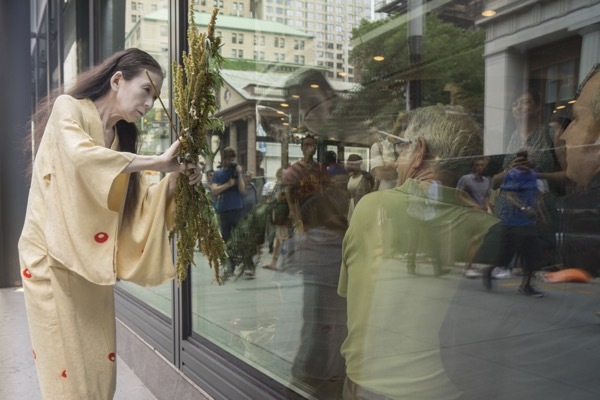 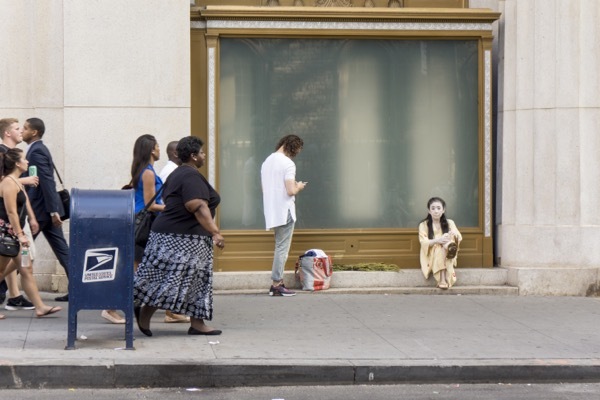 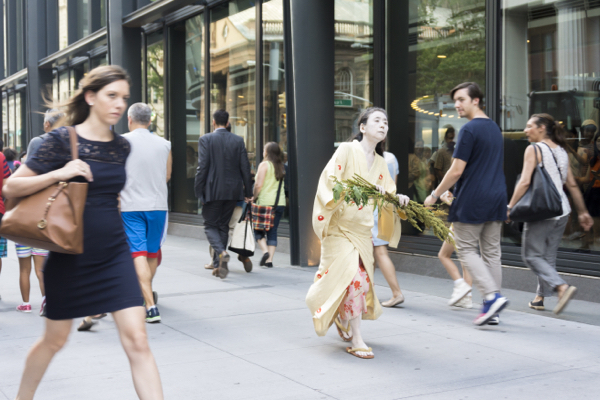 Eiko performed her ongoing solo project, A Body in Places, in Lower Manhattan, June 2015. 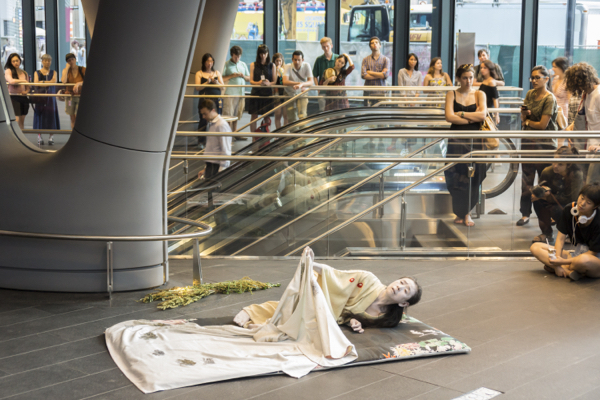 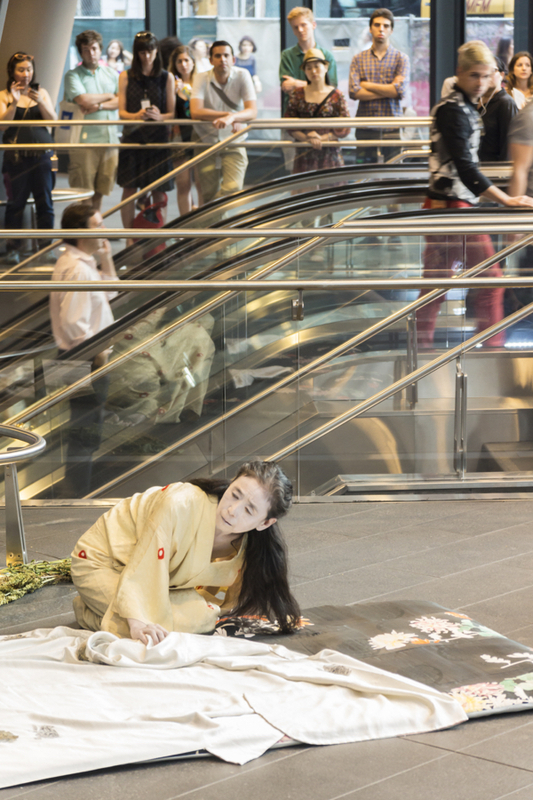 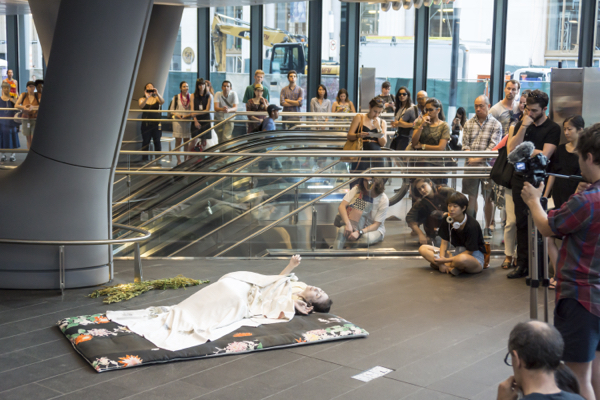 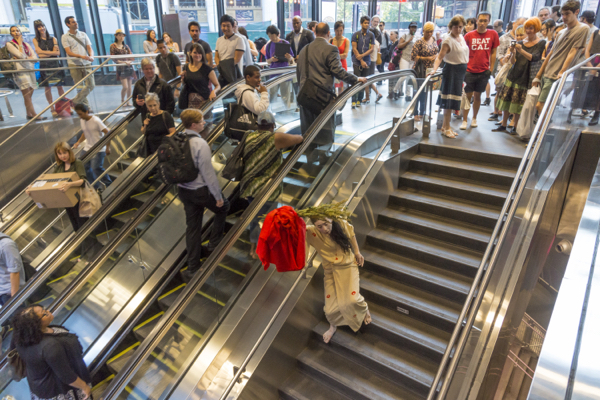 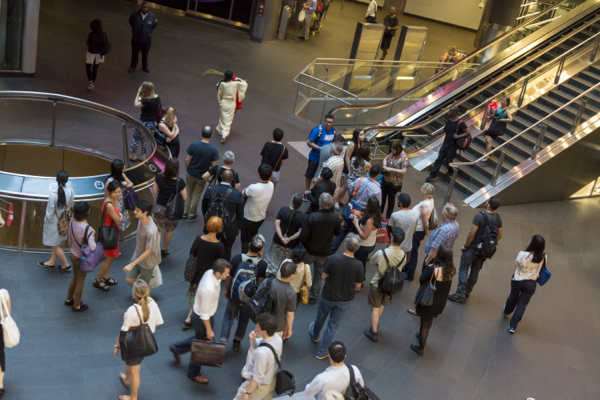 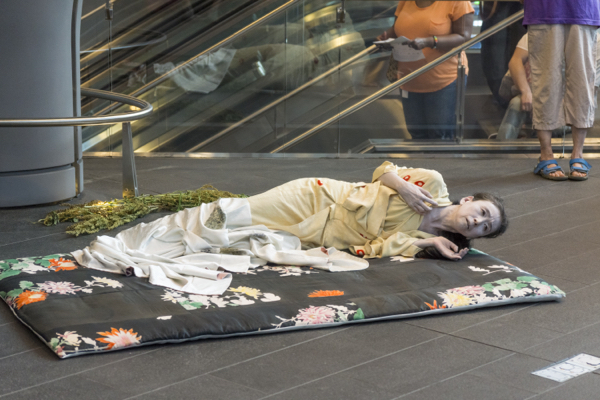 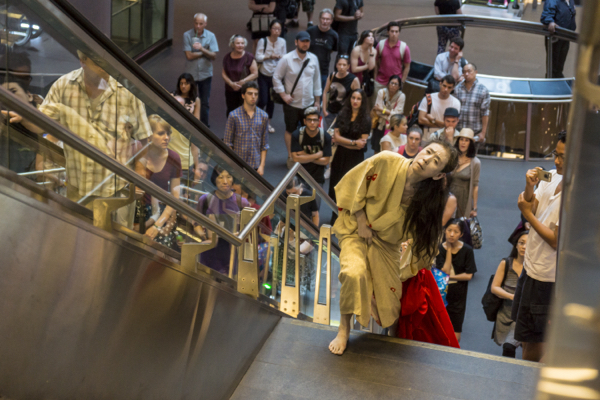 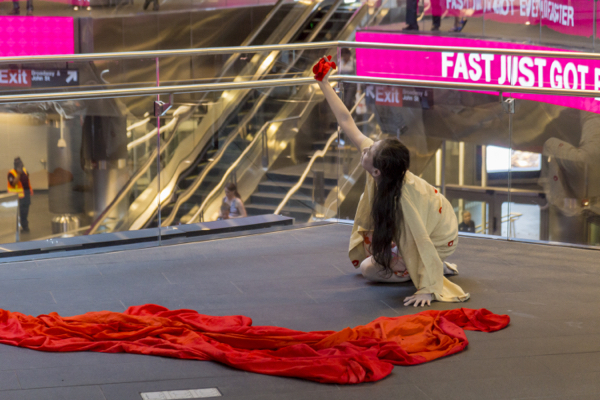 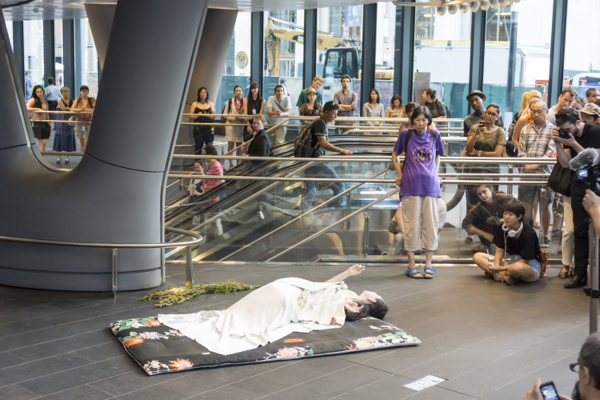 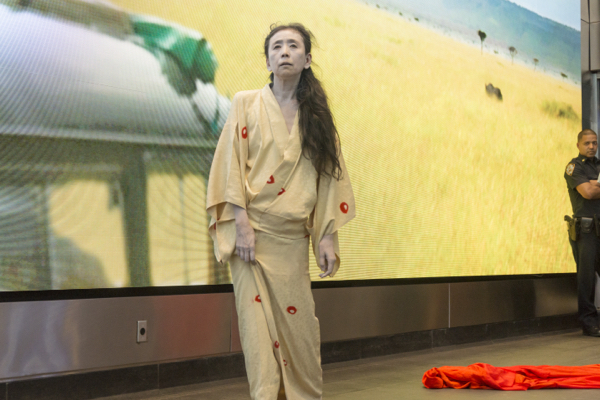 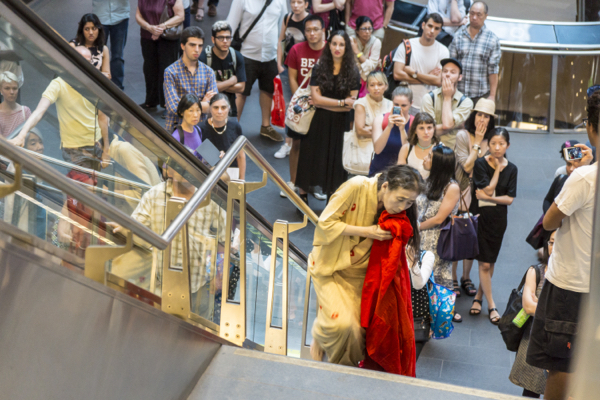 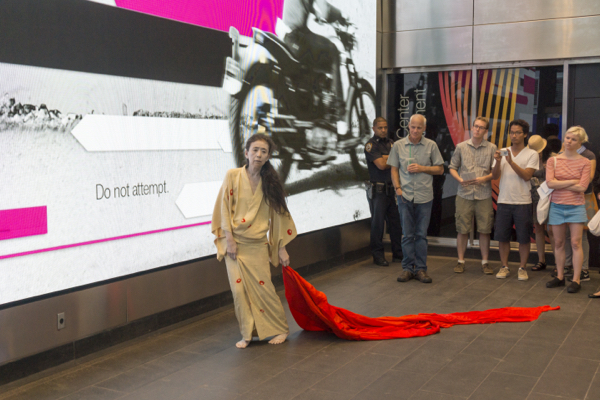 As part of the River To River Festival presented by the Lower Manhattan Cultural Council (LMCC), Eiko performed A Body in a Station, this time at the new Fulton Center, at the corner of Fulton Street and Broadway. 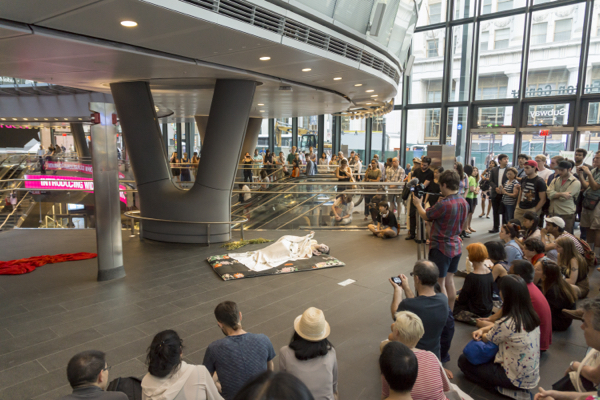 The station opened last fall as a mega transportation hub for Lower Manhattan and is situated right by where the World Trade Center used to stand. 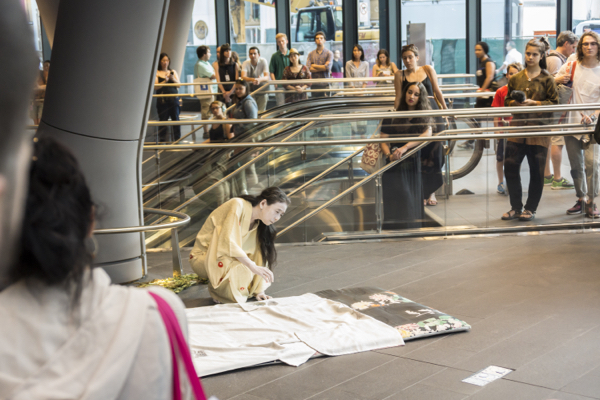 She performed for an hour every evening from June 22-24, 2015.